Agricultural burning and forest fire are some of the planet’s most serious environmental problems and, unfortunately, a very common occurrence in many countries. In the forests of the Amazon, the Congo Basin and Southeast Asia, fire can mean the advance of deforestation and most part of the fires are caused by humans in order to “clear the ground” for agricultural production or new pastures. 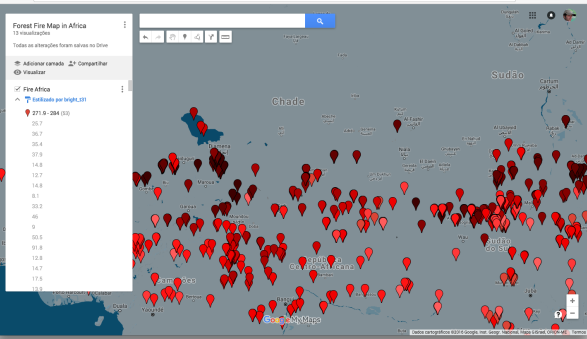 In this tutorial, we will demonstrate how you can create your own map of fire hotspots and update it in real time. This is made possible through the availability of data from satellites orbiting the Earth. These datasets are updated daily by NASA – the US space agency – and can be viewed with the help of two digital map-making tools – Google My Maps and Carto. 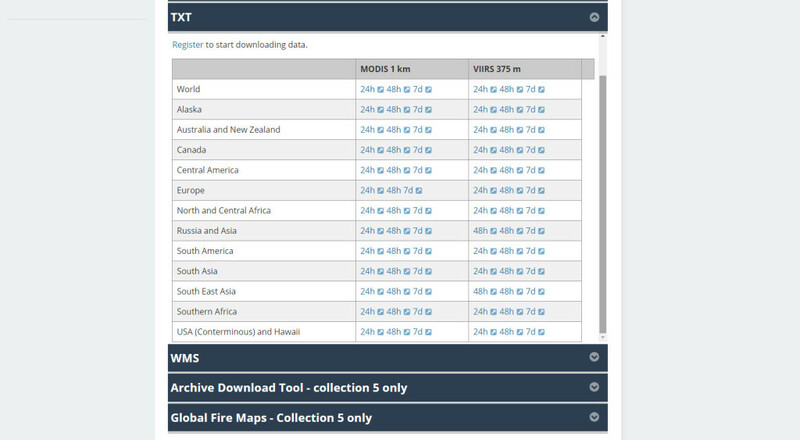 The site Earth Data from NASA is one of the most complete repositories of freely available satellite data. 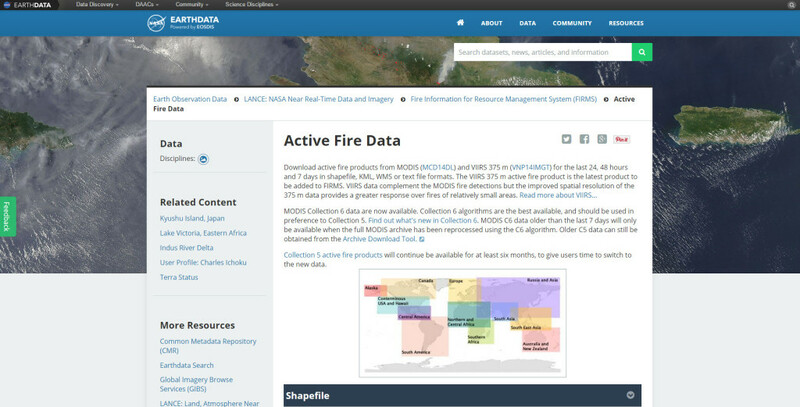 Through the NASA FIRMS project (Fire Information Resource Management System) you can access real-time data in multiple file formats and also order time series to download. In this tutorial, we’ll work with the CSV format, the table separated by commas. 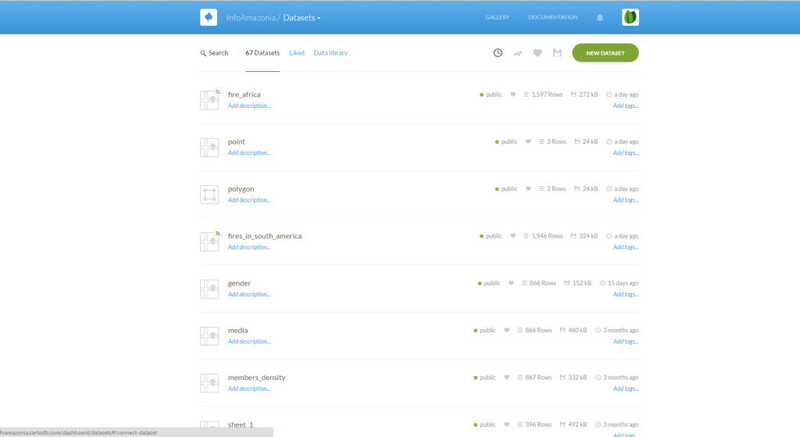 The first step after accessing the FIRMS page is to continue to Active Fire Data repository. There are two databases that can be used. One of them, the MODIS sensor, although lower resolution (1 km), has the longest historical series because the sensor has been operating for years in the Terra and Aqua satellites. 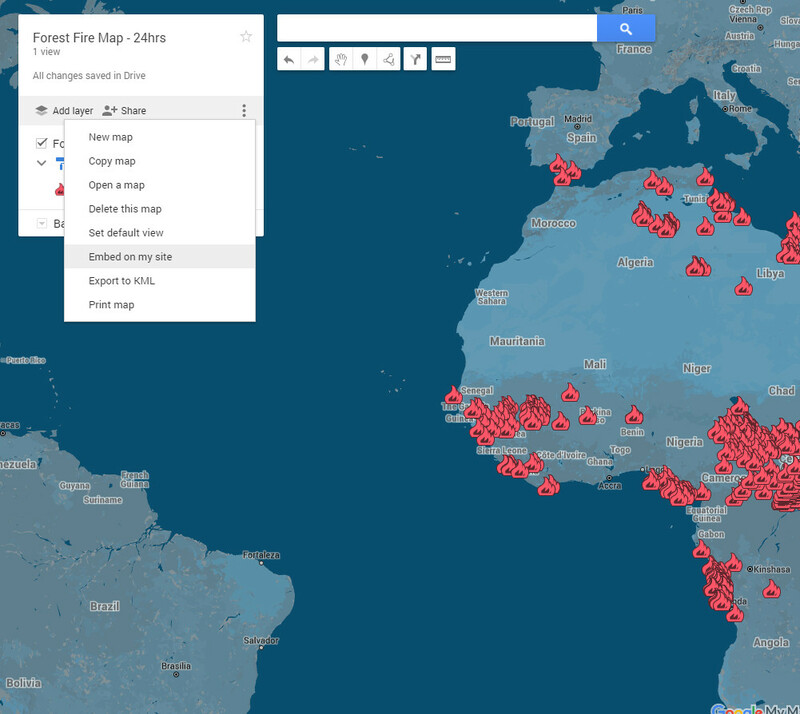 More recently, the higher resolution (375 m) VIIRS sensor, has been generating large amounts of fire data. For this example, we will use the text file (CSV) of the MODIS sensor for the last 24 hours in Central Africa. 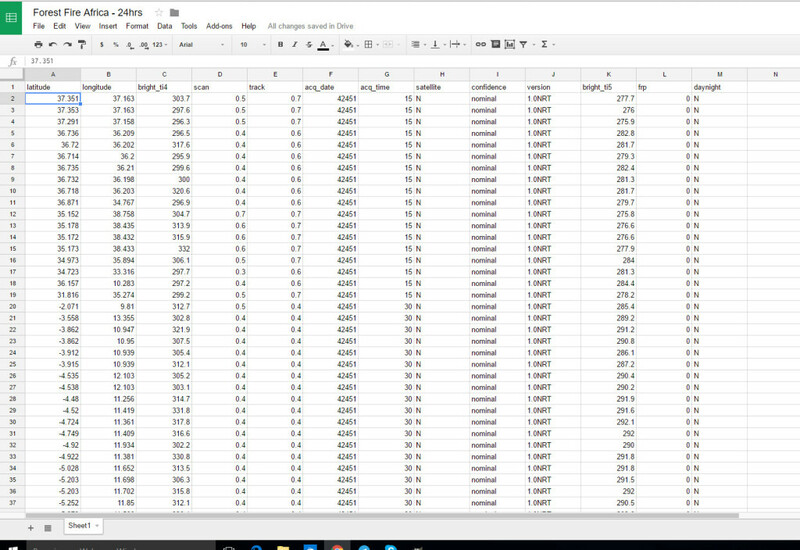 Now just open the CSV file directly in the visualization software. 3. 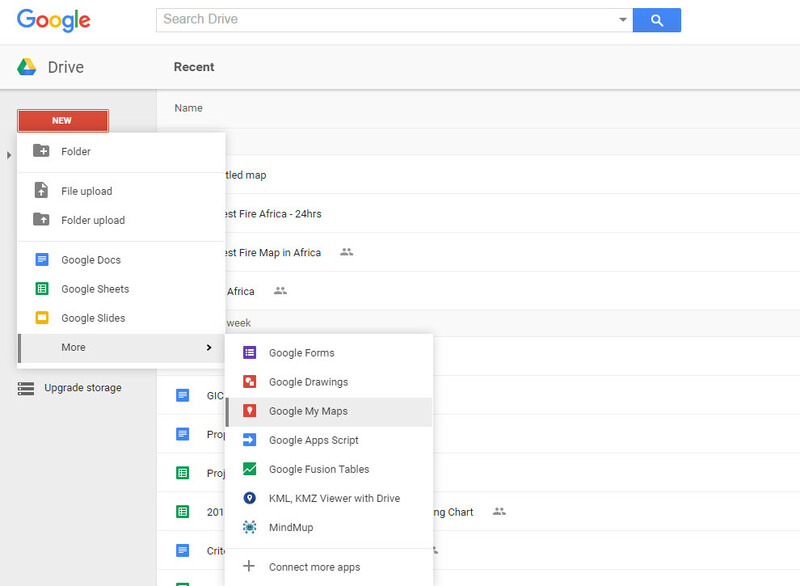 Use the option to attach a Google spreadsheet to your map. 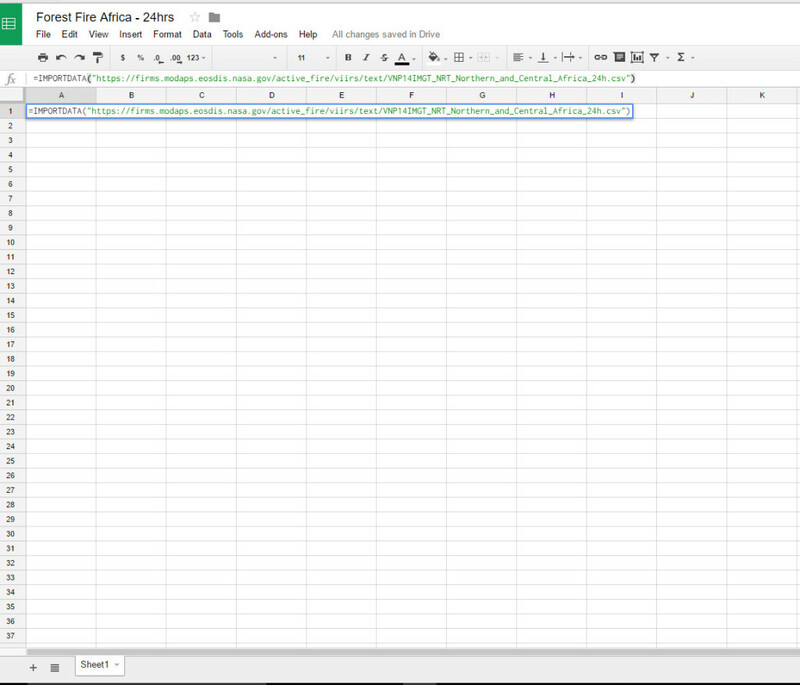 Alternatively, you can upload the CSV spreadsheet directly. 1. 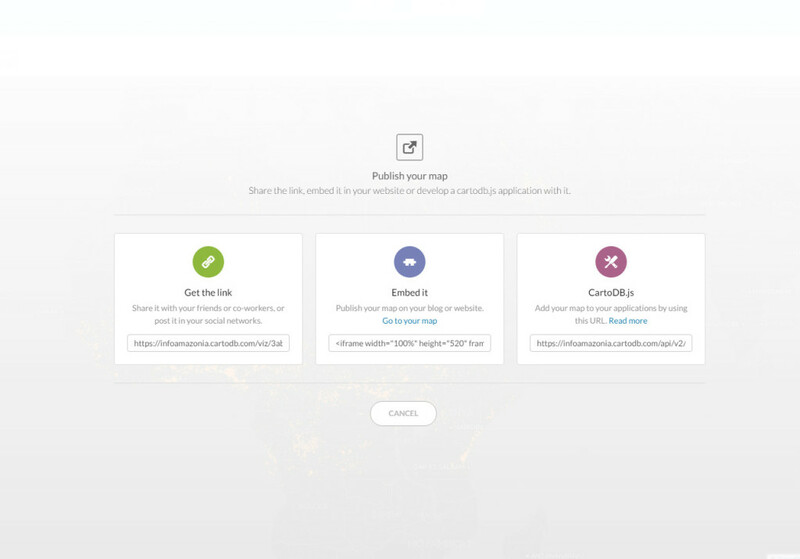 Connect to the Carto (a free account 250MB meets our exercise). 2. 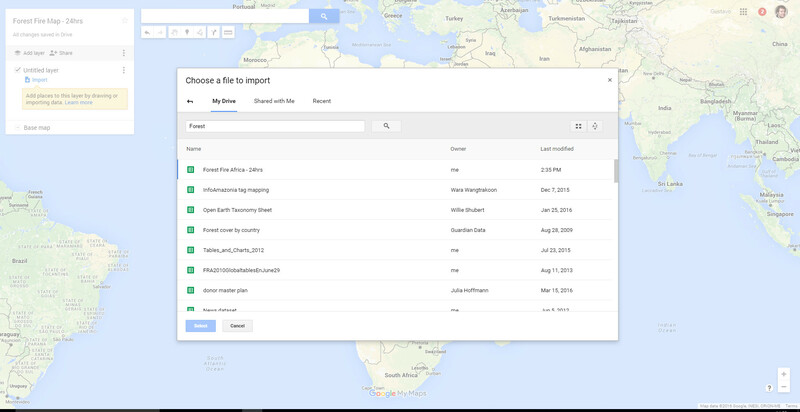 Select the option ‘Connect Dataset’ and load the CSV file. In both programs you can change the style and color of the icons. It can also draw simple graphical analysis, as categorization or animation data by time. Now, just share publish and share the map. 1. 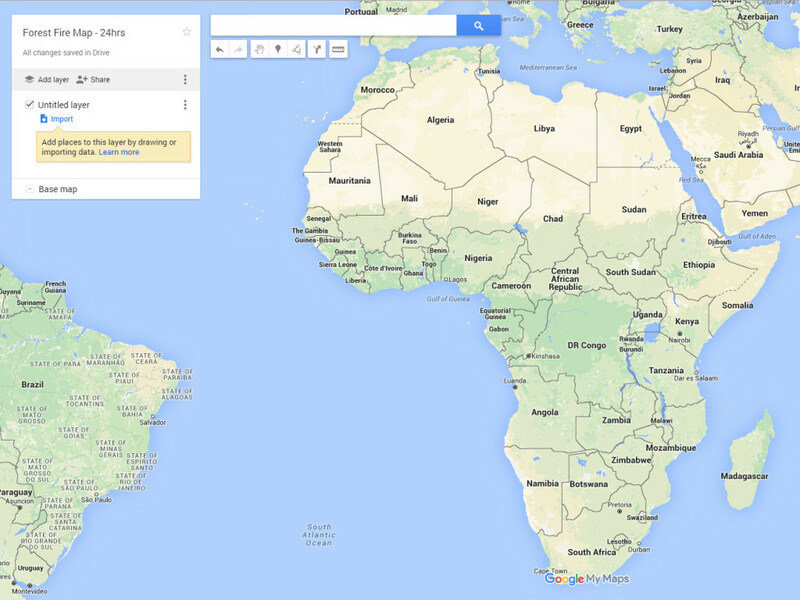 Both in Google My Maps with the Carto you have the option of sharing the link or the embed HTML Code. Gustavo Faleiros is an environmental journalist and media trainer who specializes in data-driven journalism. In 2012, he launched InfoAmazonia, a digital map that uses satellite and other publicly available data to monitor the Amazon rainforest.